Never used Gmail apps before? No worries! Once you start you’ll never use anything else! If you are new to Gmail apps it may be confusing when you’re first starting out. Each one of the Gmail apps has so much to offer any user — whether it be business or personal use. So, what are gmail apps you ask? Google created a set of applications that include Gmail, Calendar, Hangouts, Drive, Docs, Sheets, and Slides. These apps offer an online alternative to the traditional office suites. Each app is easily accessed from the Gmail homepage. I was introduced to Gmail apps in college. Professors would post class notes, homework guidelines, and even have us turn in our homework through the Gmail apps. Because Gmail apps was a whole new world to me, I found it challenging to navigate my way around. Files and presentations that were once was easy to find, I couldn’t find any more. Imagine you bought the latest cell phone or computer on the market. You are super excited to use the new product, but you are a little lost on how to get started. 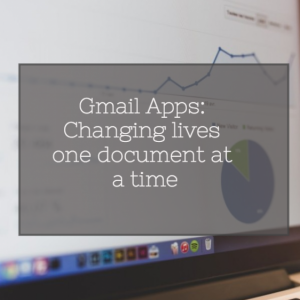 When I started here at Ving I found myself face to face with Gmail Apps again. After really diving into the application, I can see why so many people are Gmail fans. Let’s dive in for a closer look on how the different Gmail apps can be used. Google calendar was added to Gmail apps in 2006. 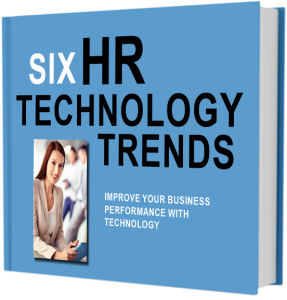 It’s shareable feature was designed for teams, within a company that permits employees to share their schedule, company-wide. 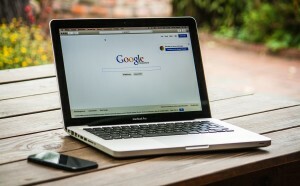 Google calendar allows employees to check others availability. It allows you to view everyone’s calendars in one screen — which helps you choose a time when everyone is available. Google calendar has a mobile app. This offers you the ability to sync your calendar directly through the app and is great for updates on the go. This app is great because here at Ving, it allows us to create meetings with other staff members with no confusion. Google Calendar allows us to see when the entire office is busy in just one screen. Even at home I use it to keep track of upcoming events and I can sync it directly to my iPhone and get alerts. With Google Calendar, our team is always connected. Hangout was launched into Gmail apps in mid-2013. The app has a few ways of letting you communicate — text, voice, and video. Hangout has two versions, consumer and work. The work version allows you to have up to 15 people and the consumer version allows you to have up to 10 people. People can join conversations from their computer or smartphone. This app gives you the ability to share your screen to view and work on things together as a team. At Ving, we use Hangout to communicate with others outside of the office, whether it be an employee of Ving or a customer of Ving. Here at Ving, we use Gmail apps as our form of communication in the office. With a little instruction, I quickly adapted to it and now not only do I use it for work purposes— I also use it for my own daily personal use. With Ving now in the Google Chrome web store, integrated Ving with your Gmail Apps is easier than ever! Download the extension today and you will see VingMan in your Gmail account inbox. VingMan gives you easy access to create and send Vings, check your inbox, and much more! Get VingMan in your Gmail inbox today!